Games that test an individual’s intuitive ability are played by all of the tribes located along the Lewis and Clark Trail. Guessing games of chance, like the Rock in Fist, are games that measure intuitive ability. What types of skill games did Native peoples along the Lewis and Clark Trail play? The Northern Plains is famous for the “Hand game”, or “Stick game”, which is sometimes considered a game of chance. The class can create a K/W/H/L chart to prepare for reading the passages. A K/W/H/L chart identifies what the class knows already about the topic of the games of Native American tribes along the Lewis and Clark Trail. Students play Rock in Fist game and participate in a classroom tournament to determine the Rock in Fist class champion. Games and playing are essential aspects of a healthy personal and community life. Friendly and healthy competition can be thrilling, inspiring, and healing to both the competitors and spectators. The joy of bringing out the best in one another, through competition or otherwise, is something to be treasured and is a source of inspiration and healing. Background: This lesson begins with the instructor facilitating the creation of a K/W/H/L chart. 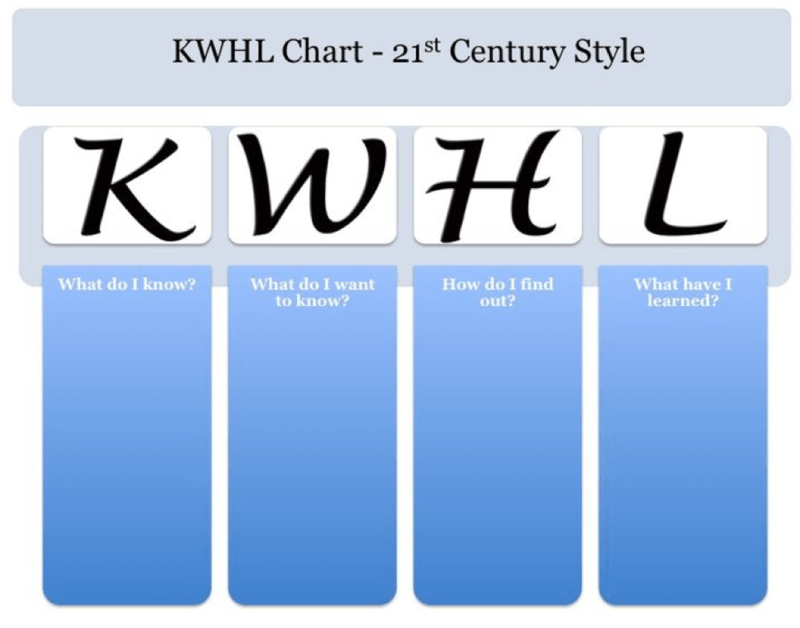 The K/W/H/L chart can be created easily on a dry erase board, and students can then record the chart on their own paper. The class will drive the process by providing questions for research. After the introduction of the K/W/H/L chart, students will form small groups of four and read the essay written about the tribal culture of the Northern Plains before Lewis and Clark. After the completion of the reading, the teacher will help complete the classroom K/W/H/L chart and then ask the student groups to complete the Concept Map handout. Materials: Written materials provided by the teacher; a personal K/W/H/L chart on a paper; an example of a concept map so that students can create their own version using their K/W/H/L charts; and games of tribal nations in America. Each tribal nation engaged in dozens of different games, and this curriculum will focus on only a few of the most widely known games played along the Lewis and Clark Trail. The Hand Game and Stick Game are widely popular across the Great Plains and are still played frequently throughout the year both on and off reservation communities. Only two categories exist for adult competition in many tribal communities: junior competition, involving ages 18–30, and senior competition, for ages 31 and over. This Pebble in Hand game for young children is a beginner’s version of the Stick Game played by adults throughout Indian Country. This game has several variations but, depending on the preference of the teacher and the number of students playing, there can be teams of three or four people. The game is played with the teams sitting on the floor in two rows, facing each other, with a small pebble and five sticks sitting between them. The object of the game is for one team to collect all five sticks. A team collects a stick during a process of hiding, and this is followed by guessing which fist of a hider actually holds the rock. Teams can take turns hiding and guessing among their players during the game, but to acquire a stick, a team must trick an opposing player into guessing that an empty fist holds a rock within it. 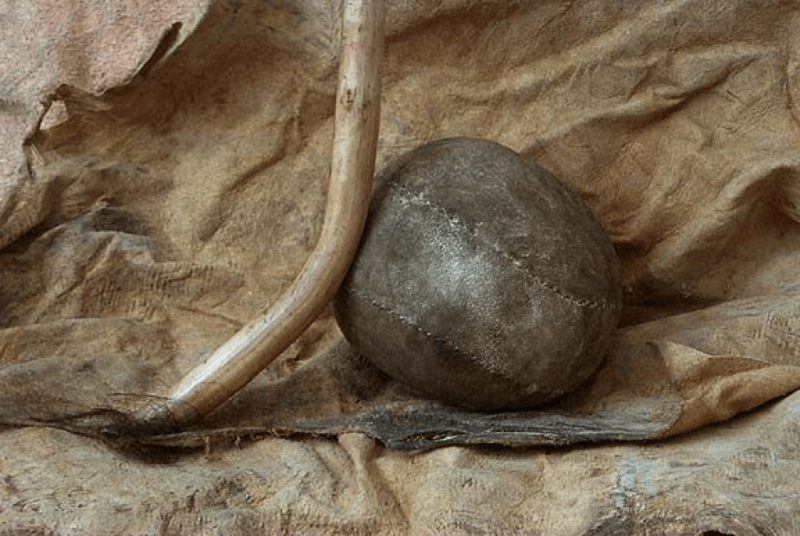 For the other team to score a stick, they must first guess correctly which hand the pebble is held in, and then they are able to take possession of the pebble and hide it themselves. During the hiding process, a player hides his hands from plain view of the guesser, usually moving them behind their back and placing the pebble into one hand before bringing both fists to the front and providing the guessing team an opportunity to choose which hand they believe the rock is being held in. Students will understand: The process of adding multiple single- or double-digit numbers to obtain a score. How do games improve our physical, mental, and intellectual acuity? Are there things you would like to be better at? If there are, is it possible to create a game to practice these skills that makes practice and learning more engaging? Add single- or double-digit numbers to obtain a score for the game. Students will be able to play Make the Stick Jump as independent and team players. Record number scores accurately and with good number formation. Explain the skills that are practiced within this game and evaluate their own level of engagement and improvement. Discussion of the improvements gained by participation in games. 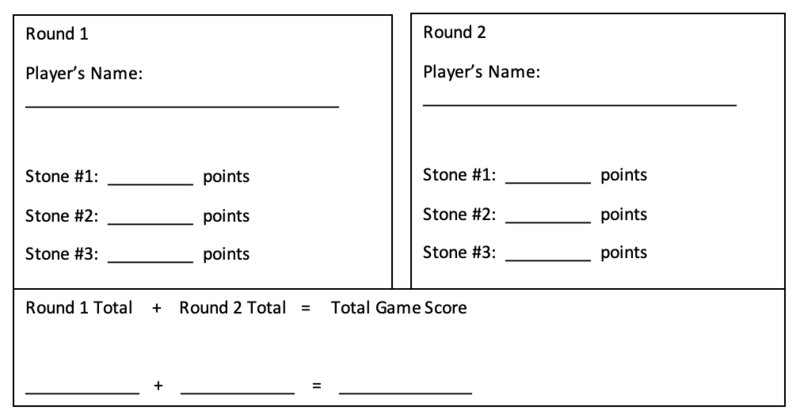 Complete two or more rounds of the game, recording accurate scores for each player on the attached worksheet. Accurately calculate round and game totals to determine the high round and game scores. Students can converse with their peers and contribute informed perspectives on the benefits of engaging in game play. Students play the game outside of class on the playground or at home and appreciate the skills practiced through the game. Students create their own games to practice skills that are important to them. Make the Stick Jump is a traditional Blackfeet boys’ game that emphasizes throwing accuracy. Each boy decorates a 6” to 8” stick with designs and/or feathers so as to recognize his stick among others. At different distances from a line the boys would place their stakes on or in the ground. Points were given for each stick, with the closest stick receiving the smallest score and the farthest stick receiving the largest score. Standing behind the line, each boy would throw a set number of stones (one at a time) at the sticks. If a rock struck a stick, it would make the stick “jump” and a set number of points would be awarded. Introduce the above game to students. Allow students time to decorate sticks (sticks could be popsicle sticks, sticks collected from outdoors, or wooden dowels cut to appropriate lengths). While students are engaged in creating the sticks, ask table groups of students to discuss the following questions: How do games improve our physical, mental, and intellectual acuity? Are there things you would like to improve? If there are, is it possible to create a game to practice these skills that makes practice and learning more engaging? One stick per student – these can be popsicle sticks, cut branch segments of similar size, or dowels cut to similar sizes, and are 4” to 5” is average. Decorating materials: feathers, markers, string, beads, other found objects, etc. Copies of the score worksheet are included below for each student. Make this lesson more or less challenging depending on age and ability by choosing appropriate number values for each stick on the team. For older or more advanced students, sticks should have double-digit scores. For younger students or struggling learners, sticks can have single-digit values. Sticks can also be set at greater distances for older or more advanced students. Sticks set at shorter distances can allow younger or struggling students to have success with this game. 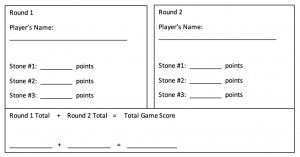 To develop extensions of this lesson, teachers may create word problems around game score. For example, stop a team in the middle of their play and ask a question such as the following: Fred has 17 points at the end of his round. Jason wants to beat Fred. He has one stone left to toss and a current score of 12. How many points does he need on his last throw in order to beat Fred?